What is it? 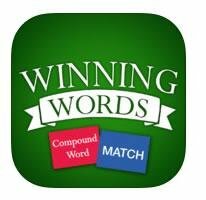 Winning Words takes the familiar game of memory match, and adds a twist: Instead of matching two pictures, users match two synonyms, antonyms or other word combinations. Created by a retired teacher and downloaded more than 25,000 times in the last two months, there apps were listed in the top 200 grossing educational games section in the app store. Choose from three levels of difficulty. Choice of four different game boards. The game can be enjoyed by up to four players at a time on the same device or you can play on your own.